So following his BAFTA success Leonardo DiCaprio has finally won an Oscar following his fifth nomination at the prestigious awards, but did you know his agent suggested he change his name to Lenny Williams to make him more American. 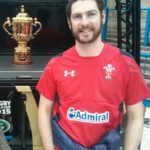 In other news this week we take you through the best SEO and social media stories that caught our eyes. To celebrate the launch of GIF search, Twitter started a GIF party with celebrities everywhere joining in the fun and posting GIFs from the new GIF library. From Taylor Swift and Little Mix and even Rick Astley, the impromptu GIF party celebrated the power of Twitter and the spontaneous nature of the social platform. Check out some of the best tweets by checking #GIFParty. Advertisers are getting new targeting options on LinkedIn to help make their campaigns more focused than ever before. The new changes look to improve company targeting options with companies now able to use their own list of accounts which LinkedIn will then cross-reference to match company pages and create a user segment for targeting. This change will help companies with account-based marketing as well as helping bring in more advanced Audience Matching in the future. Want to know what noise a pig makes? Apparently Google thinks that we want to know what noises animals make with its latest addition to search. 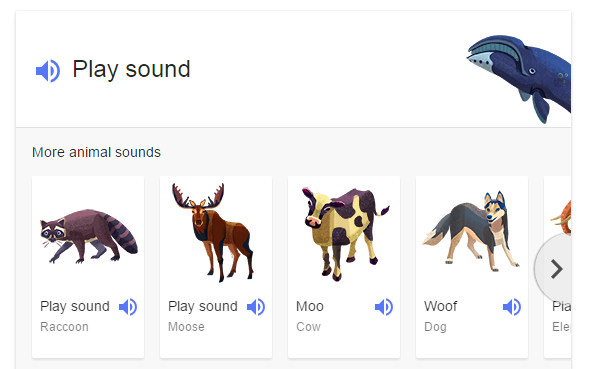 Simply do a search on Google for “animal noises” and you will see a carousel of animals with a speaker icon next to each one. Want to hear a lion roar? Or how about a finding out what noise a zebra makes? Our personal favourite is the raccoon. Facebook users are about to start seeing more live video in their news feeds thanks to the added availability of Facebook Live. The live videos will be prioritised while they are streaming so that users can easily find them. With people spending three times more time watching Facebook Live video compared to standard video, it’s no wonder that Facebook is looking to promote live video. Wouldn’t it be nice if you could do a voice search on your phone and then order what you wanted all by just talking to your phone. It would almost be like walking into a shop, asking for what you wanted and then buying it, without actually having to go to a shop. Well that’s exactly what Google are looking at doing with conversational shopping. Still in the very early stages of development this is an interesting concept and one which we would love to see.